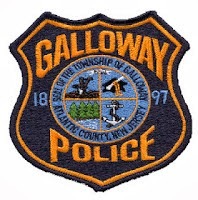 Galloway Township News has exclusively learned of a settlement between five (5) police officers represented by Mainland PBA Local #77 and the Township that has been finalized on Wednesday, February 5, 2014. According to sources, over the past several years the New Jersey State Policeman's Benevolent Association (PBA), Mainland Local #77 filed grievances against the Township for changing workers compensation and military leave policies. The proposed deal left a decision to be made by five (5) police officers who are Military Personnel. Previously Chief Patrick Moran identified the five military Police Officers as Raymond Casanova, Patrick Neal, Rita Abatemarco, Paul Smith and Kevin Costa. According to information we obtained, part of the workers compensation grievance was if an officer was out on a work related injury, the officer would receive seventy percent (70%) of his or her salary from workers compensation and the other thirty percent (30%) would be paid by the Township. In addition, the Township paid both the employee’s and the Township's obligated pension contribution portion. According to additional information we obtained, on February 5, 2014 the PBA finalized a deal with the Township regarding the workers compensation and military grievances. According to sources, "pursuant to the terms of the agreement, the Township will provide 75% of any leave time used for weekend drills from January 13, 2012 to September 13, 2013." The deal includes "unpaid leave time, which will also be reimbursed in the form of additional accrued leave time, not actual payment." Additional terms of the agreement will now permit Officers to "work on different days to make up weekend drills or take unpaid leave as stipulated in the Interim Military Drill Policy." In turn, the "Township has agreed not to recoup any workers compensation payments made under the old policy and to drop its scope petition with the Public Employee Relations Commission (PERC)." Sources indicated a reason provided for the reached settlement by the PBA was because "PERC is by no means impartial under the Christie Administration." The PBA "felt the risks of pushing this case forward far outweighed the benefits." It was further explained by sources, "these risks included a far from certain outcome, large legal costs for both sides, and a possible short lived victory in a soon to be expired contract. Under the current climate in Trenton, we can’t stress enough how important it is to reach voluntary agreements with the employer to avoid PERC." As the PBA felt this settlement was the best course of action, a source under the grounds of anonymity stated to Galloway Township News, "I fail to see this as a victory but as our Union Executive members giving into the strong arm tactics of the bulling methods." The source further stated Officers "would have been proud to ride this out even if we lost in PERC. We needed to stand by the principle of what our fight was about. It was about more then just time used. Needless to say, I am thankful for the time and effort put forth by our shop stewards. Just a little disappointed that there is no solidarity within our ranks. No victory! Not even a loss." The settlement comes after Atlantic County Superior Court heard the case and ruled on July 18, 2013, in favor of the PBA. According to the Final Order Judgment, the Judge ordered in part, "to make whole all affected Township Police Officers for any lost wages and/or contractual leave charged for the purpose of weekend military drills retroactive to July 13, 2012." However, the Township appealed that decision which sent the case to PERC. The Township and the PBA settled the cases before PERC had a chance to rule. Galloway Township News has followed this case through the grievance and court hearing process. Geez I thought PBA 77 President Rat Theriault said that the "we will prevail in the end." He always makes a complete fool of himself.